Avid gardeners know October and November can be some the best months of the year for planting. Just look to nature as an example: as the weather cools down, most plants have finished blooming and begun forming seeds, preparing to start the cycle all over again for next year. Cooler weather also makes working outdoors more comfortable and means fewer undesirable insects in your garden. In the mid-Atlantic we’re typically blessed with warm weather until the first frost — usually sometime in late October or early November — so there’s ample time to enjoy gardening in the beautiful fall weather. Goldenrod (Solidago) is a perennial and an important plant for pollinators. 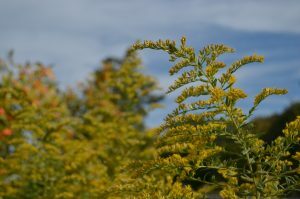 It’s often mistakenly blamed for hay fever; however, the true culprit is ragweed, which blooms at the same time. We’re excited to publish this special blog post from our friends at Lewis Ginter Botanical Garden in Richmond. They share some great fall gardening tips and we hope you enjoy them! Don’t forget that if your home is located in planned community, it’s important to check with your homeowners association documents before beginning any landscape or gardening projects to ensure those plans comply with any community guidelines. Many people mistakenly believe spring is the best time for planting, but in spring the soil is still warming up from the frigid winter months. In fall, on the other hand, the soil is warm from the summer heat, while the air is beginning to cool down. This means roots can flourish without stress while the cooler atmosphere reduces the drying effect of evaporation. This makes fall the perfect time for planting perennials and spring-blooming bulbs. The list for fall planting also includes trees, shrubs, grass, cool crop vegetables and even some annuals. Perennials, which bloom year after year, are a great option for fall gardeners because while the frost will eventually make part of the plant die back, the roots will continue to thrive all winter and you’ll be able to enjoy your plants for years to come. Some nice options for fall perennials are aster, helianthus and goldenrod. 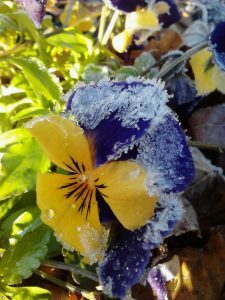 Also look for perennials such as violas; they’re resistant to frost and will continue to bloom throughout the winter and into spring. Violas are resistant to frost and bloom throughout the winter. Tulips make a fabulous spring display and the best time to get your tulips in the ground is late fall. Since the flower has already formed inside the bulb, the main concern with tulips is making sure the roots have time to become established before the first frost. 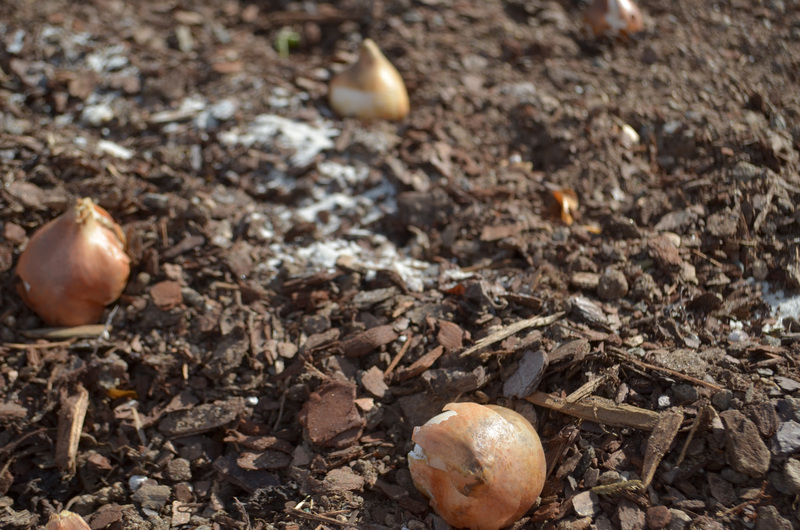 Tulip bulbs should be planted about 6 inches deep and 6 inches apart. There’s no need to fertilize tulips, but covering the bulbs with a layer of mulch, leaves or chicken wire after planting may help deter squirrels from digging them up. Just because warmer weather is coming to an end doesn’t mean you can’t plant annuals during fall as well. This is a great time to shop around and find discounts on annuals at garden centers and enjoy their beauty for a little longer. After enduring the harsh summer heat, your lawn is probably in need of a little TLC. As long as there’s enough rainfall or if you have an irrigation system, now is the time to overseed your grass so the roots can set over the winter. Come spring, you’ll be glad you did when your lawn is thick, luscious and green. In the mid-Atlantic, fall is also a good time to plant ornamental grasses such as panicum, andropogon and miscanthus. Ornamental grasses provide a nice silhouette in the garden throughout winter as other plants lose their foliage. Plant broccoli and other vegetables in the Brassica family for fresh veggies throughout fall. Tomato season might be over, but that doesn’t mean you can’t keep growing fresh produce throughout fall. 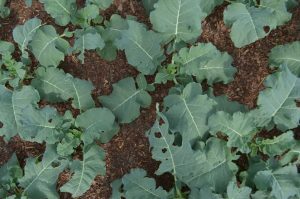 Hardy vegetables, especially from the Brassica family such as broccoli, cauliflower, kale, turnips and mustard greens all thrive in the fall. They also make great additions to a hearty stew to warm up after spending a crisp fall day in the garden. You can truly enjoy gardens and gardening activities year-round. As fall transitions to winter, take advantage of mild days to get outside in your garden or visit some of the many public gardens in the mid-Atlantic region, including Lewis Ginter Botanical Garden or Maymont, both in Richmond, VA. These gardens are created for four seasons of interest, so there’s always something to see. Before you know it, there’ll be signs of spring and you’ll be able to look forward to enjoying those bulbs and perennials you’ve planted in your own garden. 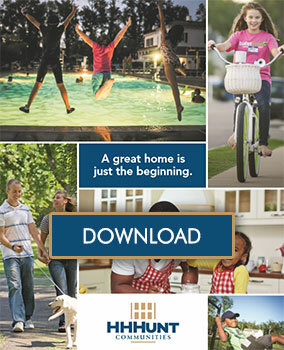 Don’t forget that if your home is located in planned community, it’s important to check with your homeowners association documents before beginning any landscape or gardening projects to ensure those plans comply with any community guidelines.